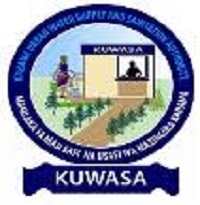 Kahama Urban Water Supply and Sanitation Authority (KUWASA) is a full autonomous public entity established with the water work Act (Cap 272).which has been replaced with the water supply and sanitation Act 2009. The authority was established to operate reliable affordable and sustainable water supply and sanitation services in Kahama Town. As a result of expansion of the existing distribution network, that has also made a substantial increase of customer base. Performs such other related duties as may be assigned by the head of section from time to time. The Authority employment policy Is not gender biased hence all prospective application are encouraged to apply.